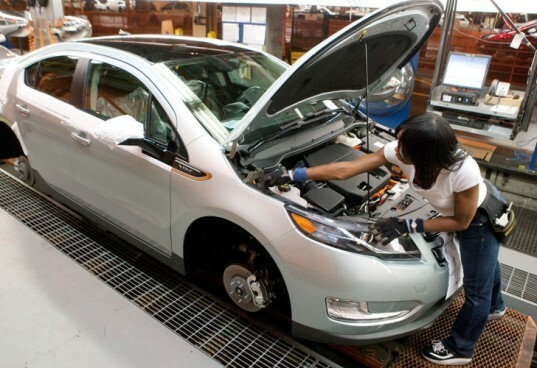 General Motors Chief Executive Officer Dan Akerson is expected to announce that GM will double the output of the 2012 Chevy Volt from 60,000 to 120,000. This comes just after Akerson told the public that the company would increase their 2011 Volt output to 25,000 units from an original goal of 10,000. Akerson joined GM as the CEO in September 2010 and is set on getting more GM plug-in hybrid vehicle models on the road. A higher production of the Volt would mean costs would come down and the now $41,000 vehicle would become more affordable for a larger group of consumers. In addition to ramping up Volt production Akerson has told GM employees that he wants them to start looking for ways to use the Volt’s Voltec gasoline-electric drive system for other GM vehicle models. He’s hoping that the company can triple their plug-in hybrid sales by 2015 from their 2012 target. With the $7,500 government tax incentive for low-emission vehicles the Volt’s price tag comes down to $33,500 and while that lasts Volt sales should remain high. In anticipation of that tax incentive being rescinded GM needs to find a way to make the Volt — and other future plug-in hybrid models — more cost effective for consumers. The incentive expires after GM sells 200,000 of the vehicles. If they can prove demand for 120,000 Volts in 2012 they could ramp up their production even higher, therefore bringing the cost of the vehicle down even more. 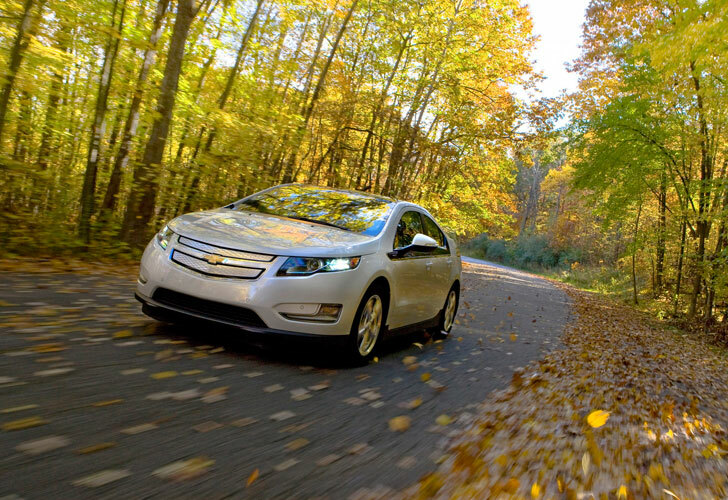 With GM preemptively doubling their production numbers for next year and having raised the capacity for this year, it seems like they are on a roll with the Volt — winning the North American Car of the Year award probably helped. It looks like GM is riding a wave to bringing down costs and meeting their goals of selling more, less expensive, low-emissions vehicles.